As your baby stands, falls and topples, pressure on the diaper can get skin in contact with the wetness of urine. This can interrupt baby’s fun and learning process. 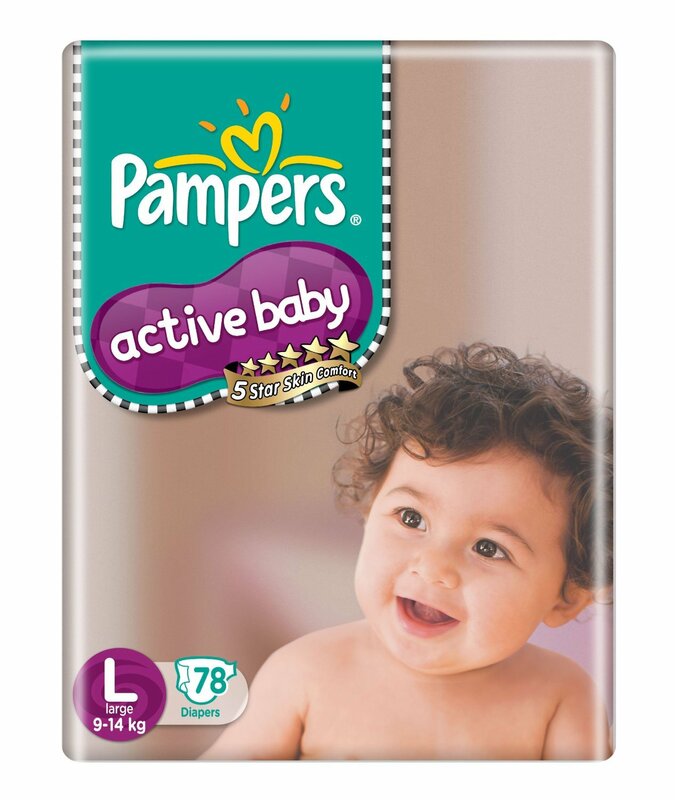 Pampers Active Baby with 5 Star Skin Protection provides a comfortable fit with an Extra Dry Layer to prevent urine from coming back to the top sheet, for up to 12 hours of dryness. Also, baby’s skin breathes better, enjoys cottony softness, and is kept moisturised against friction. Give your baby the freedom to play uninterrupted for longer! Does your baby girl cry out without you realizing why? It could possibly because of the discomfort of the diapers she is wearing. 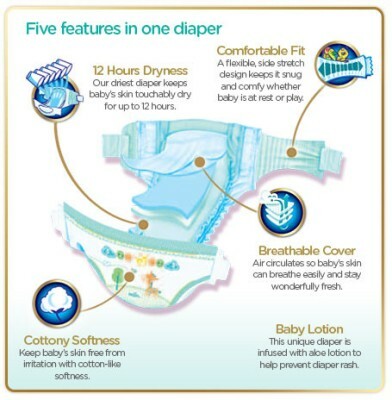 The Pampers Active Baby diapers have been designed keeping in mind how the skin within the diaper is in constant touch with the material of the diaper. As humidity often builds up inside the diaper, your baby’s skin becomes prone to irritation and discomfort. In such a situation you must keep your baby’s skin well ventilated with a light and breathable diaper. As she grows up, she will move around more, but do not worry. This product is stretchable and flexible which means that it moves with your baby but prevents leakage too. All you need to do is make sure you secure the diaper by using the tabs and stretching it around before you can secure it – the rest Pampers will do for you! Cloth diapers can cause friction and discomfort to your baby and make you feel utterly helpless when your baby cries out. Diapers with lotion become absolutely necessary for keeping your baby’s skin soft, supple and free from rashes. 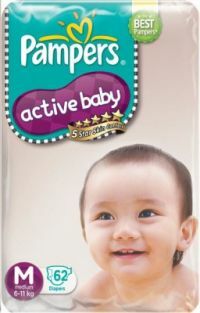 Pampers Active Baby diapers, which are made from non-abrasive, soft and cottony material, is also infused with Aloe Vera lotion. On occasion you may find some gel on your baby’s skin, especially if the diaper has reached full capacity. This is perfectly normal and harmless. AGM is the gelling material popularly used in diaper padding to help the process of absorption and it can easily be removed by simply wiping the baby’s skin. Make sure however, to not dispose the soiled diapers in the toilet as that will result in a drainage problem. These large Pampers diapers have been designed for babies weighing around 9 to 14kgs. However, you must look for the size that fits your baby best, as Pampers has a wide range of sizes depending on your baby’s weight and age. The right fit will ensure that your baby stays dry, comfortable and happy. 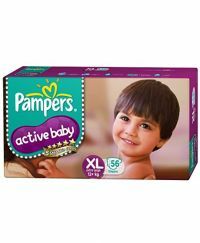 To Recieve updates and possible rewards for Pampers Active Baby Large Size Diapers please sign in. To Recieve updates and possible rewards for Diapers & Nappies please sign in.